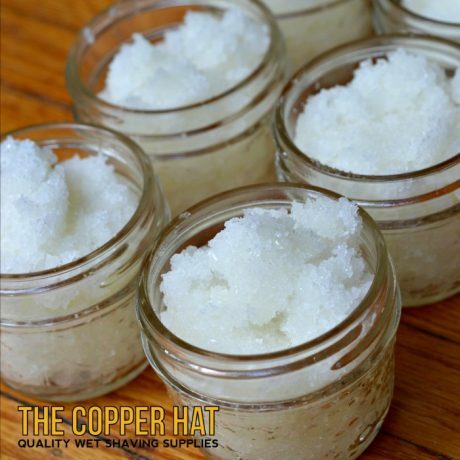 We’ve crafted our Lavender Peppermint Body Scrub with natural exfoliating ingredients (no harmful plastic microbeads here!) 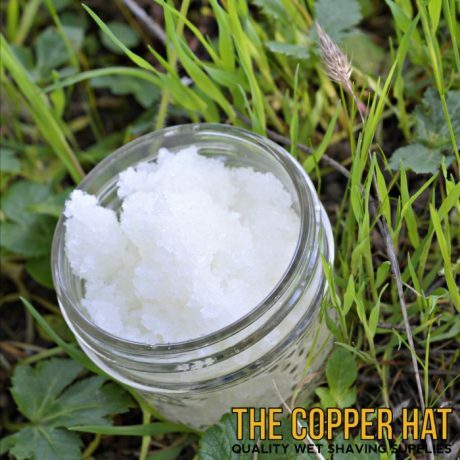 like sugar and ancient sea salt to help remove dead skin and soften hair in advance of shaving. 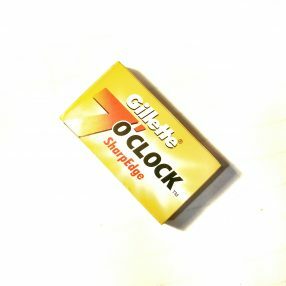 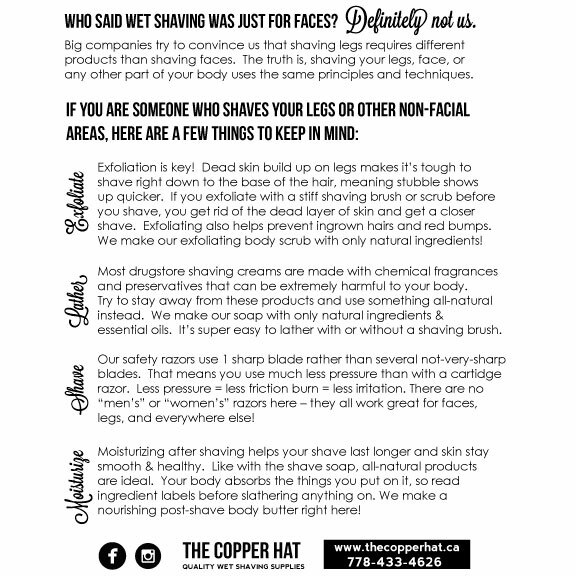 The polish also includes natural oils that will help the razor glide more easily when you begin to shave. 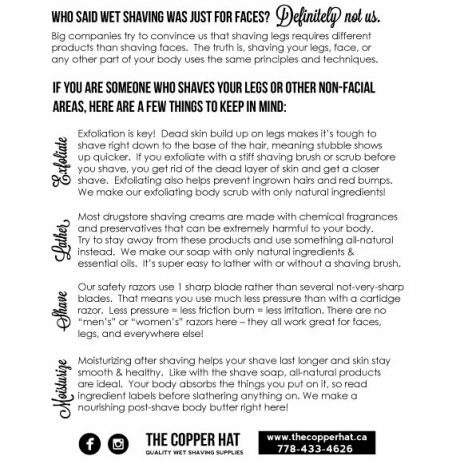 Buff a small amount onto your skin and then rinse off before shaving. 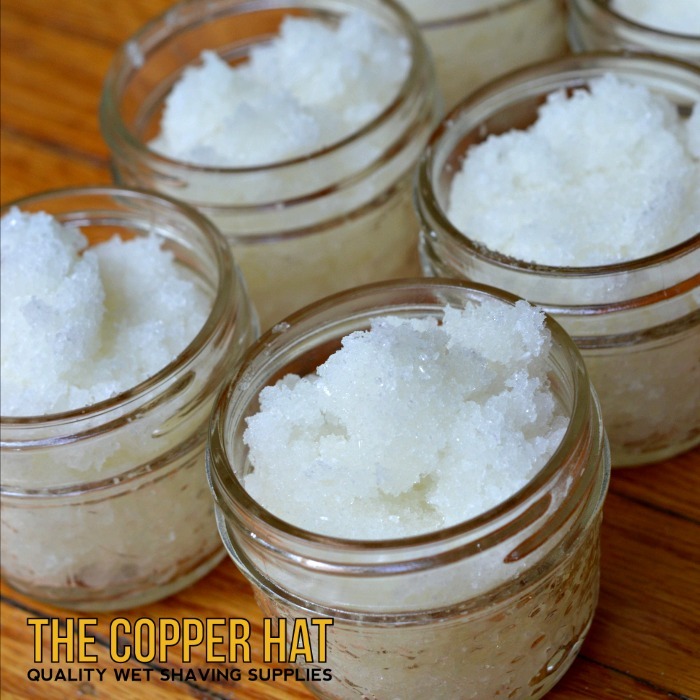 We created this scrub for use as a pre-shave polish for your legs, but it is also an excellent hand and body scrub! 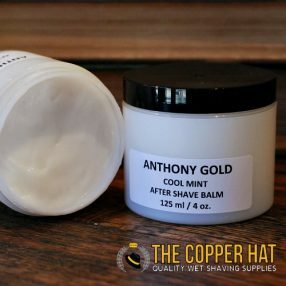 110g. 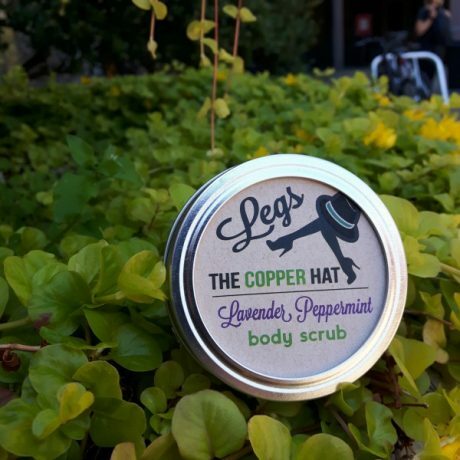 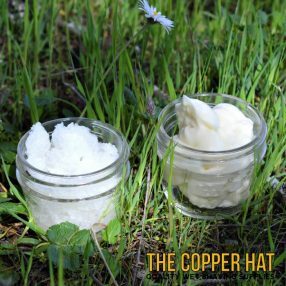 Packaged in reusable/recycleable glass mason jars and are made by Kate of The Copper Hat – a gal with extremely sensitive skin! 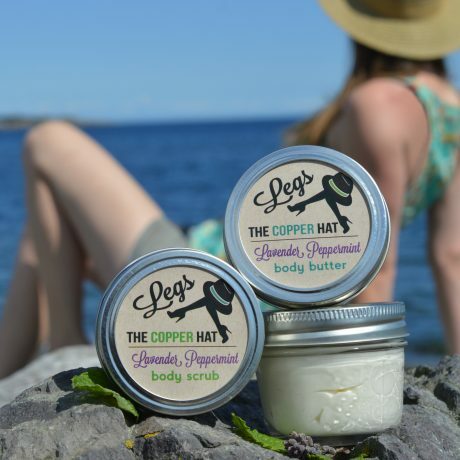 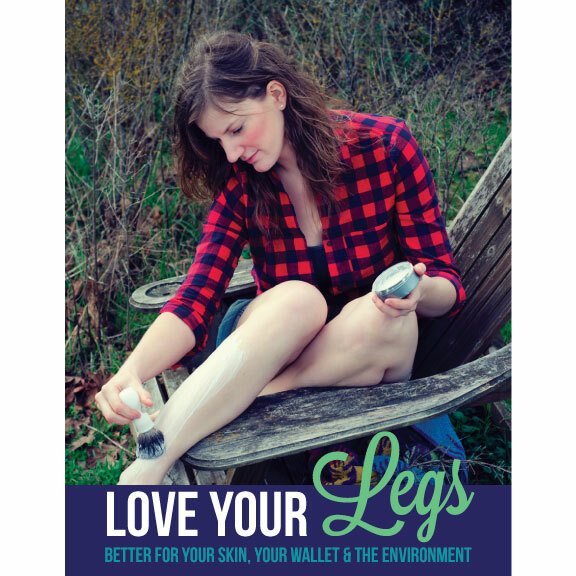 Our Leg Polish goes great with our Leg Balm!